This award is open to manufacturers or UK distributors of injectable products for the UK aesthetics market. Finalists will be chosen from products that support a wide range of indications and can show evidence of good safety and efficacy, optimum duration and tangible benefits over similar products on the market. The winner will be selected from the finalists using a combination of Aesthetics reader votes and judges scores. Voting will constitute a 30% share of the final score. Please note that the word count for each question is inclusive of references. Teosyal RHA deserves the official status of Injectable Product of the Year due to its innovative technology, designed specifically for patient and physician satisfaction. The Teosyal RHA range has been developed with the most prominent patient expectation in mind – natural rejuvenation. Since launch in 2016, Teosyal RHA has become a game changer for thousands of clinics across the globe, with a HA gel rheology finally adapted to maintain performance under stretch and strength conditions beneath the dermis. Developed under unique preservation technology, the Teosyal RHA features long-chains, mimicking the HA found in our bodies naturally, to give the most natural result with the ability to integrate into the tissue. Featuring a limited amount of bonding agents (BBDE) and dynamic bonds, the gel has the ability to stretch with our movements when placed superficially and maintain performance under compressions in the deeper dermis. Because the modification of natural HA chains is low, Teosyal RHA has become a safer, more predictable HA for natural-looking results. The body recognises and is more likely to accept the gel substance due to its preservation of long HA chains, meaning less inflammatory responses and greater ability to be moulded post-injection for perfect placement and integration. The technology of Teosyal RHA has recently been credited, by receipt of FDA approval of RHA 2, 3 & 4 for moderate to severe dynamic wrinkles and folds. Making history in the HA market as the first company to have three dermal filler products approved for FDA at one time. This accreditation reinforces Teoxane’s commitment to delivering science-based, high-quality and innovative HA products to the global market. JUVÉDERM® is the world’s leading brand of hyaluronic acid facial filler . Within the JUVÉDERM® brand portfolio is JUVÉDERM® VOLUMA® - an advanced injectable hyaluronic volumizer proven to restore facial volume and contour areas including cheeks, temples, chin, and jawline. V SOFT LIFT is an innovative procedure to rejuvenate and regenerate the skin. The treatment duraton lasts significantly longer than HA fillers and delivers a more natural looking result. V SOFT LIFT has lasting visible effects up to 12 to 18 months, compared to only 3 or 6 months for HA fillers. V SOFT LIFT is classed as a minimally invasive procedure using absorbable PDO threads. The popularity of V SOFT has grown, as todays patients are demanding a softer more natural look. V SOFT does not paralyse the muscles, they are made from polydioxanone (PDO) and can be injected almost anywhere. The PDO-threads stimulate the collagen synthesis and improves the structure of the skin as well as tightening and lifting. They have a capacity to hold the skin against the effects of gravity and ageing. "We have been working in association with Medical Aesthetic Group for our PDO Threads Courses for the past year using the superior innovative thread system, V Soft Lift. 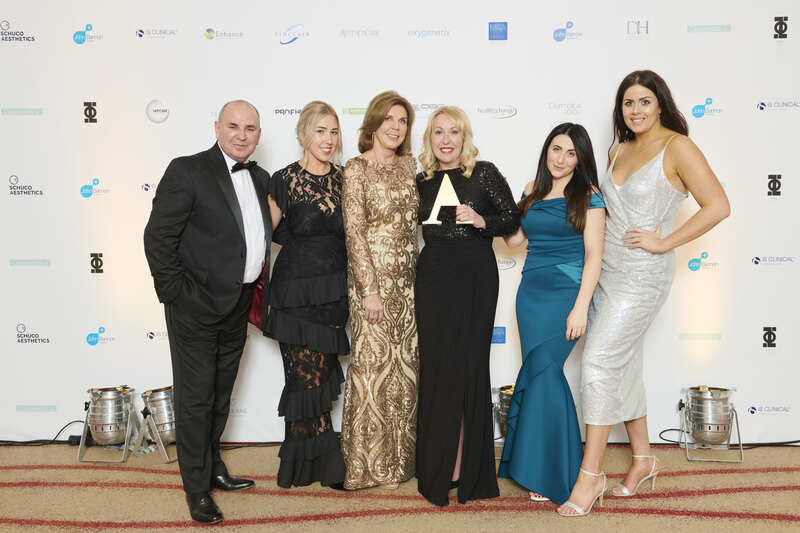 Medical Aesthetic Group provides a high level of expert knowledge and excellent customer service and it has been a pleasure working together. At Merz Aesthetics we don’t believe in standing still. So, following the announcement of BELOTERO® as Injectable Product of the Year 2017, we were delighted to announce the addition of two new BELOTERO® Lips products to this award-winning range. Launched in April 2018, the new BELOTERO® Lips duo takes lip treatment to the next level, offering a combination approach to lip enhancement. The two new products have been designed to address two different lip tissues, enabling aesthetic practitioners to be the Master of Their Art. The innovative designer lip treatment allows a complete tailored approach to natural looking lips (1). As with the full BELOTERO® range, BELOTERO® Lips utilises Cohesive Polydensified Matrix® (CPM®) technology (4,5). This patented technology produces a polydensified gel, with high and low density zones, which enables BELOTERO® to seamlessly integrate within the dermis and stay intact for a lasting effect(4), whilst respecting dynamic facial movement and expression(1). The tailored rheological properties of the BELOTERO® Lips duo, mean they can be used alone or in combination to define and volumise the lips, whilst maintaining a natural appearance at rest and on animation. (1) The combination of CPM® technology and rheological tailoring mean BELOTERO® Lips integrates optimally and is resilient in areas of high muscular activity(1), creating smooth surface contours which look natural at rest or when animated(1). The RRS® line of unique injectable formulations allows aesthetic clinics to offer patients unsurpassed biorevitalisation treatments that are highly effective and safe to use for the face and body. The complete line of RRS® CE Class III sterile injectable medical products consist of three families with 14 different products in total, allowing each practitioner to find the ideal solution for all patient needs and desires. All products are designed to fill the dermis, provide ideal hydrobalance and biorevitalise the skin. RRS® Unique Formulations - Hyaluronic Acid is presented in a biorevitalisation solution comprising amino acids with hydration and antioxidant properties that stabilise the HA. The amino acid solution helps the dermal filling effect of the HA by bringing to the dermis amino acids needed for maintaining the intercellular matrix. •	Cost effective for patient and clinic. There are multiple clinical studies supporting the ingredient profile and effectives of the products. (See attachment). RRS® is an extremely versatile product range and can be used with different delivery systems depending on the patient type, skin condition and preference. The majority of users will inject with a micro papule technique, however we are gathering more and more results from our KOLs using a combination of RRS and Tixel or Plasma Shower with extremely effective results. The RRS range can also be used in multiple modalities depending on the qualification and profession of the practitioner with consistent and predictable results. Restylane Lyft has a larger gel particle size and is designed for the correction of deep lines, facial contouring, and lip enhancement. It is injected into the deep layer of the dermis. Using Galderma’s unique patented Non-Animal Stabilised HA (NASHA)™ technology, Restylane Lyft achieves un paralleled projection to restore volumes and structure lost through the natural ageing process and enhance features to reach desired looks. NASHA technology has additional cross-links between the hyaluronic acid (HA) molecules providing a more stable gel, resulting in longer lasting, lifting effects. NASHA technology creates a firmer gel texture with a targeted product integration within the skin, resulting in a more pronounced lifting capacity for projection and definition. Restylane Lyft has a large gel particle size to deliver lift, fill and volume. Restylane products using NASHA technology are intended for use in patients with better tissue quality for whom a firm product, providing more support and structure gives the ultimate result. Aliaxin® is IBSA’s monophasic dermalfiller line containing a combination of well-defined molecular weights to obtain different biological & mechanical effects. Key features of the Aliaxin are high tissue integration and stability resulting in natural but at the same time long-lasting results. Exclusively distributed in the UK & Ireland by HA-Derma Ltd.
IBSA is one of the leading pharmaceutical companies in hyaluronic acid production & products containing hyaluronic acid. The in-house production of the HA raw material allows IBSA to choose the exact molecular weight or combination to support each indication while ensuring purity and safety. SHYALT® (Sodium Hyaluronate Altergon), IBSA’s hyaluronic acid is an ultrapure grade HA, produced through a patented biofermentation process, which ranks worldwide as “Top High Quality” in terms of purity and safety. Altergon is FDA approved manufacturing site. 1) V. Freli et al. 2015. Evaluation of Local Tolerability and Increase of the Elastic Fibres and Collagen After Intracutaneous Injection of Three Injectable Fillers. Acta Biomed 84:5-12. Autologous Platelet Rich Plasma combined with Hyaluronic Acid for Skin Regeneration. Cellular Matrix is a revolutionary innovation in aesthetic medicine that combines two treatment concepts in one for natural results. Immediate formation, in one easy step, of a cell-friendly HA network in which platelets are dispersed, using a system which is specifically approved for preparation of the combination of A-PRP and HA. Cellular Matrix contains 2 ml of natural, non-crosslinked, fermented HA (1550 KDa) at a concentration of 15 mg / ml (30 mg total), in addition to the thixotropic cell-separation gel and the sodium citrate anticoagulant solution. HA increases the residence time of growth factors in tissue and creates a prolonged effect on stem cell migration and tissue regeneration beyond that of the A-PRP alone. Cellular Matrix Facelift restores the volume of tissue giving a youthful effect. Princess® Volume Plus is the latest addition to the award-winning Princess® HA dermal filler range. Developed by Croma Pharma, the experts of hyaluronic acid, Volume Plus is the most robust formulation in the Princess® portfolio. This soft, versatile gel has a higher G prime than the current top five market leaders, and has been specifically designed for mid-face volumising, reshaping and contouring. In a crowded dermal filler market, it can be difficult to differentiate which brands truly stand up to the test of time in terms of quality, results and patient satisfaction. With over 40 years of expertise, Croma Pharma are a trusted, established brand who create and develop supreme aesthetic injectables: since 1994, over 45 million HA syringes have been produced. Princess® Volume Plus demonstrates superior elastic properties compared to other volumising dermal fillers as it can integrate seamlessly into the surrounding tissue, while providing the ultimate structural support. In vitro enzymatic degradation experiments show that Princess® Volume Plus is considerably more stable than competitor products. It has a higher G Prime compared to the current top five market leading fillers yet can still maintain a consistently a low extrusion force. The unique, durable glass syringe design provides an exceptionally smooth extrusion force for increased injection stability and comfort, coupled with easier recycling. The collagen stimulation is brought about by a bio-absorbable medical polymer called PolyCaproLactone. When micro-spheres made from this polymer, suspended in the filler gel, are absorbed by the body, this triggers a reaction which results in the body generating its own repair collagen. 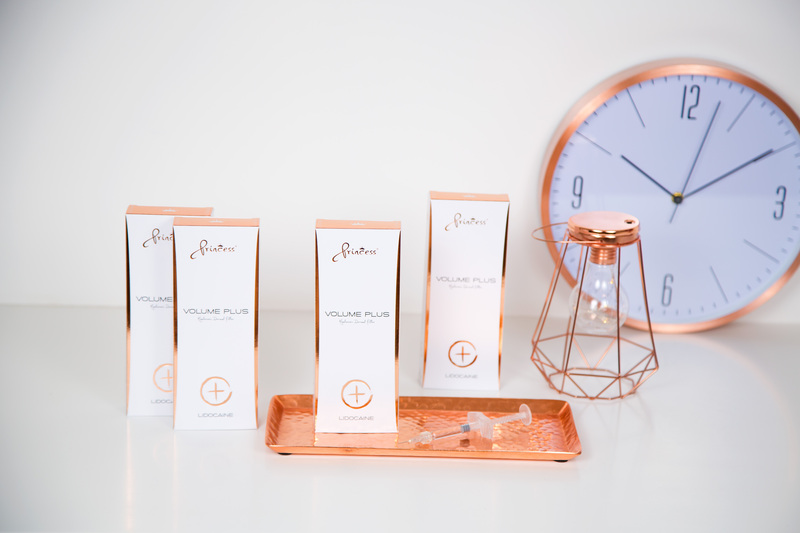 The Ellansé range has four different versions which allow doctors and patients to customise their treatment according to the length of time the results will last from 1 to 4 years.